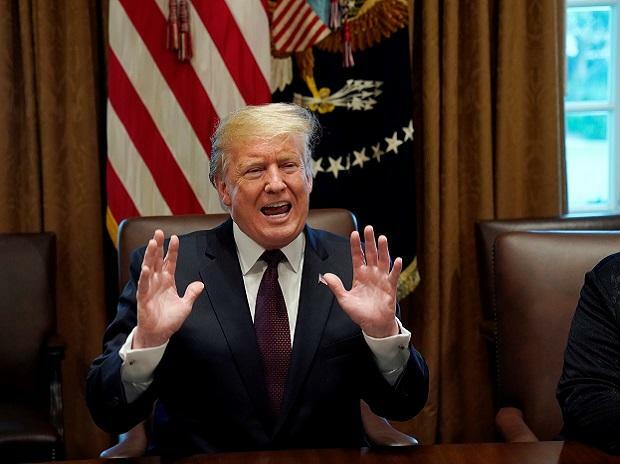 Sixteen US States have sued US President Donald Trump over his plan to declare a national emergency to get funding for his controversial wall along the border with Mexico, saying he has veered the country toward a constitutional crisis of his own making. The lawsuit came after Trump on Friday declared that he would spend billions of dollars more on border barriers than Congress had granted him. The National Emergencies Act allows the President to declare a national emergency and unlock a stash of funds by invoking certain statutory authority. The coalition of 16 states in their lawsuit alleged that the Trump administration's emergency declaration and diversion of funds is unconstitutional and otherwise unlawful. The states include California, Colorado, Connecticut, Delaware, Hawaii, Illinois, Maine, Maryland, Michigan, Minnesota, Nevada, New Jersey, New Mexico, New York, Oregon and Virginia. "President Trump has veered the country toward a constitutional crisis of his own making. For years, President Trump has repeatedly stated his intention to build a wall across the United States-Mexico border," reads the suit. The dispute stems from steps Trump said he would take after lawmakers granted him only $1.375 billion for new border barriers, legislation he signed last week to avoid another government shutdown. The fund is far short of the $5.7 billion Trump had initially requested. Trump asserted the power to tap three additional pots of money on his own: $600 million from a Treasury Department asset forfeiture fund for law enforcement priorities; about $2.5 billion from a military antidrug account, most of which would first be siphoned from other military programs the Pentagon has yet to identify, and $3.6 billion in military construction funds he said he could redirect by invoking an emergency-powers statute. Trump declared the national emergency to fulfil his 2016 presidential campaign promise to "build a wall" on the US-Mexico border, which he calls "a major entry point for criminals, gang members, and illicit narcotics". The lawsuit file on Monday seeks to block the Trump administration's emergency declaration, the unauthorised construction of the border wall, and any illegal diversion of Congressionally-appropriated funds, a media release said. The states allege that the Trump administration's action exceeds the power of the executive office, violates the US Constitution and federal statutes, and would illegally and unconstitutionally divert federal funds appropriated by Congress for other purposes. The lawsuit seeks declaratory and injunctive relief to block the emergency declaration, the construction of the wall, and any illegal diversion of congressionally-appropriated funds. White House officials said they believe they can unlock an additional $6.6 billion through the emergency declaration and other budget maneuvers. The White House believes the money would allow the administration to build at least 234 miles of the border wall. "President Trump is manufacturing a crisis and declaring a made-up 'national emergency' in order to seize power and undermine the Constitution," said California Governor Gavin Newsom. "This 'emergency' is a national disgrace. Rather than focusing on fighting the real vulnerabilities facing Americans, the President is using the powers of America's highest office to fan the flames of nativism and xenophobia. Our message to the White House is clear: California will not be part of this political theater. We will see you in court," he said. President Trump treats the rule of law with utter contempt, charged California Attorney general Xavier Becerra.